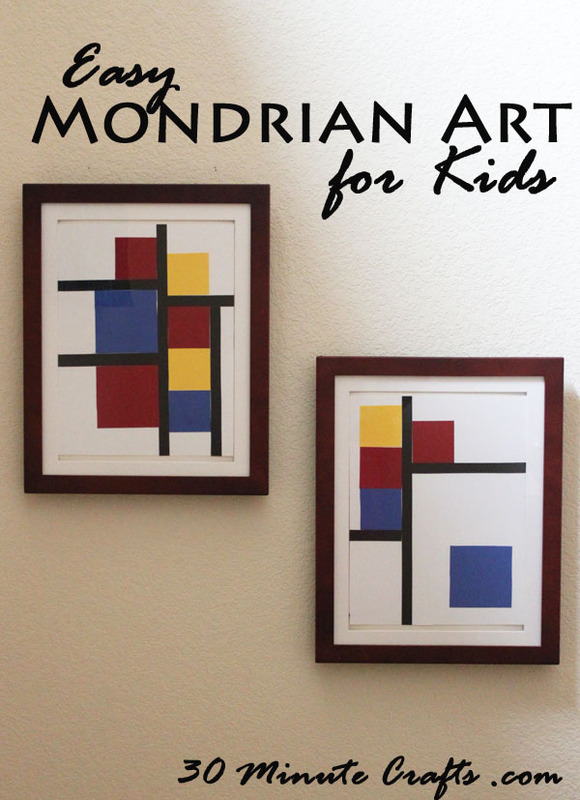 This Mondrian-Inspired art is so fun and simple for kids to make, with just a little bit of adult preparation! Piet Mondrian (born Piet Cornelis Mondriaan) was a Dutch Artist, known for his very memorable artwork, using black, primary colors, and sometimes grey. The black is often used in some kind of grid formation, and the rest of the colors are often squares or rectangles making patterns or designs. 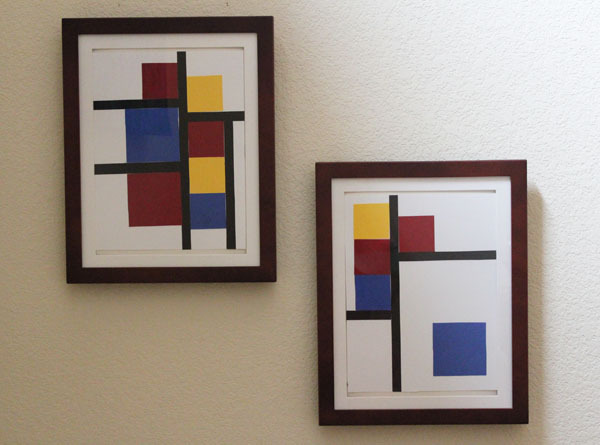 I’m sharing this Mondrian art project as part of the World Cup for Kids series. A group of bloggers teamed up, and each of us has chosen to represent a country playing in the World Cup. Each time our team plays, we’re sharing a fun post that gives you a little insight into the history or culture of the team playing! I’m representing The Netherlands in this series (go orange!) and so far have shared faux Delft Blue, a Windmill Printable, and a Printable Birthday Calendar. Today I wanted to share with you some more Dutch culture, and talk about one of the famous Dutch artists. There are lots of famous Dutch artists – Van Gogh, Rembrandt, and Vermeer are among the most well-known. Piet Mondrian is also well-known, and his artwork really stands out. Plus, it is simple to make artwork inspired by his using scrapbook paper! 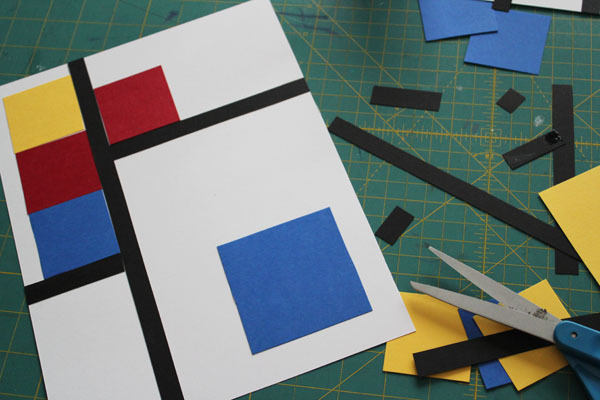 For your Mondrian art project, start with black, red, yellow, and blue scrapbook or construction paper, a paper cutter, and glue stick. You will need white paper for the background, and can add grey paper if you like. Cut the paper. 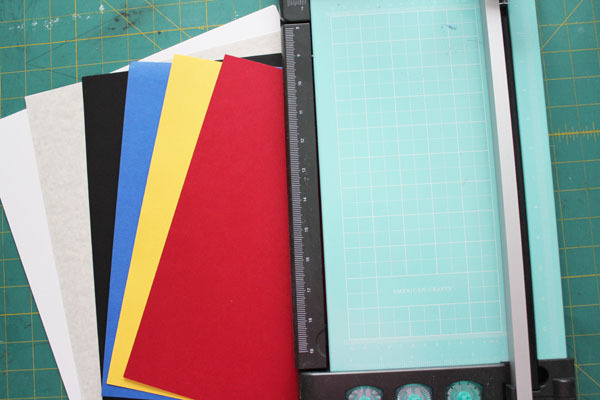 The black gets cut into 1/2″ strips that kids can sub-cut if they like. The rest of the colors get cut into squares. I made 2″ and 3″ squares. If you have older children crafting, they might enjoy 1″ squares as well. You can look up Mondrian Art on Google to get some inspiration images if you like. 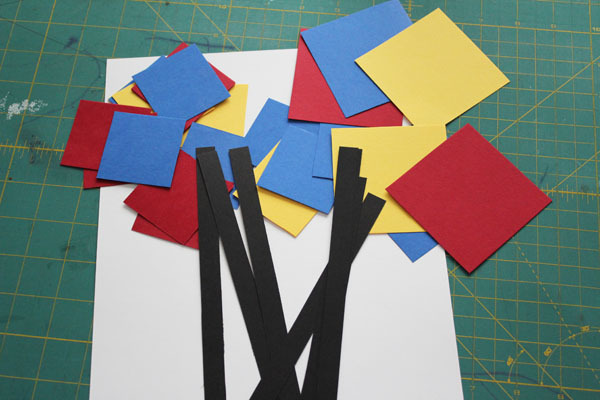 Use the black, yellow, red, and blue papers to create your art. You can lay all the pieces out to create a design you like, then glue them down… or you can glue as you go to create a fun piece. Once your artwork is done, you can hang it up! 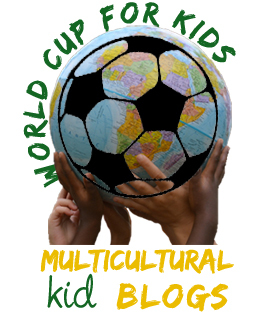 Make sure to check out all the other awesome bloggers sharing their countries for the World Cup Series!